Phoenix Services Shop Facility brings a customer oriented, rapid response attitude to the heat exchanger industry. By combining forces with Phoenix Services Field Services, we give our customers the unique advantage of using a single source for all heat exchanger services, both shop and field. One call will provide you the type of service you need. 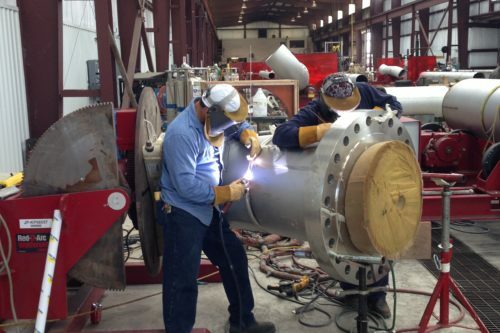 Our core of experienced managers, supervisors and qualified personnel are available 24 hours a day, seven days a week for routing and emergency maintenance and turnaround projects for retubing, repair and fabrication of pressure related equipment. Our goal is to continually improve the quality of services provided to our customers. Phoenix strives to provide the best value for your heat exchanger needs. Phoenix Services shop is equipped with modern machine tools, state of the art welding equipment and tools specifically designed for increasing efficiency and productivity in retubing and repair of heat exchangers. 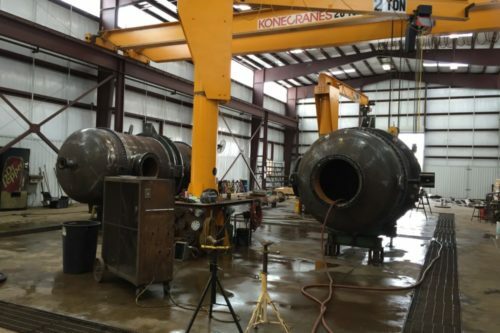 Phoenix Services fabrication shop can provide the materials, repairs and maintenance services for most pressure related equipment. 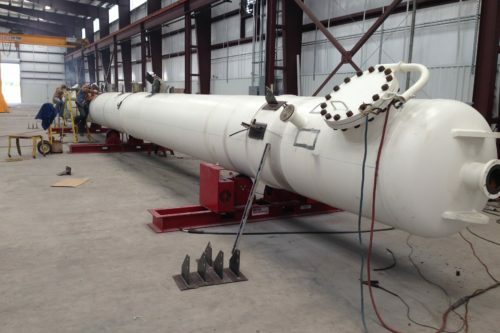 We specialize in both replacement parts and repair of shell and tube heat exchangers. Our experience includes all carbon, alloy, and stainless steels, titanium, nickel and nickel alloys, as well as other ferrous and non-ferrous alloys. Upon completion of fabrication and assembly, components and complete exchangers are tested as prescribed by Code to ensure equipment integrity. Phoenix Services offers related specialty services and rehabilitation of used equipment. Our experience includes new construction projects, revamps, turnaround and maintenance projects at many of the nation’s refineries and petrochemical plants.